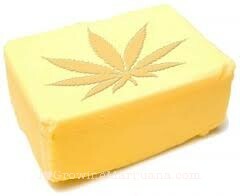 Here’s a “fancy” recipe on how to make cannabutter, enjoy. It’s always best to use the best leaf you can find. The more potent the shake, the more potent the butter. Step 1: Put your 5 pounds of butter/margarine into the stock pot. Step 3: Fill the pot with cold water leaving about 4 inches at the top for stirring. Step 5: Stir with a wooden spoon occasionally. Step 8: Take a ladle or coffee mug and scoop out some of the green mixture onto the cloth. Keep pouring until you get close (about 6″) to the top of the container. Then take the cheesecloth off and squeeze into the container as hard as you can to get the most butter out of the mix. Repeat into all containers until all of your green stew is out of the stock pot and squeezed into the containers. *Note: most of the butter is saturated into the leaves and that’s the part you want to ensure gets totally squeezed out of the mixture and into your containers. Step 9: Put the lids on your filled containers and place them on a level surface in your freezer. Step 10: After about 5 hours, the butter will solidify and some of the water will turn to ice. Take each container one by one over to the sink, take off the lid, and with one hand supporting the ice block, turn container upside down and release. Some water will come pouring out, and the ice just needs to be scraped away from the main butter block. You should be left with a smooth, round slab of light green butter. Step 11: I store my butter in empty margarine containers in the fridge. If you’ve got lots, you can put the butter back in the freezer and take it out as needed. Or you can share it with your friends. You can use this butter just as you would regular butter in any baking recipe. Simply substitute the butter your recipe calls for with your special butter. Tell us what you think of this recipe. Go to the comments and tell us if you enjoyed this recipe or not. We want to know what your thinking. 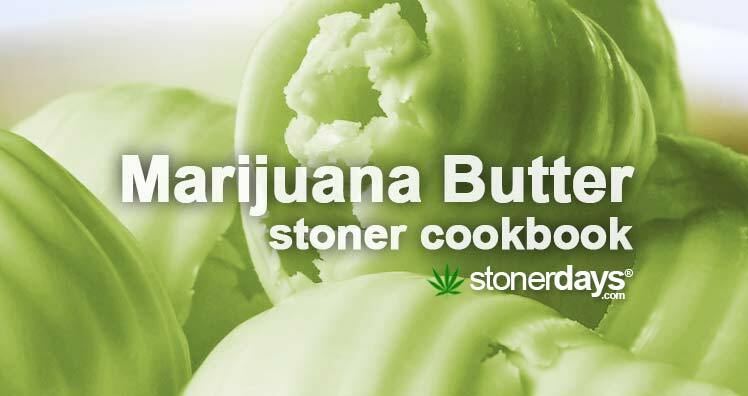 This entry was posted in Stoner Cookbook and tagged butter, marijuana, recipe.